The Mongoose Optimum is designed to give you the best of both worlds the Lifter and the Equalizer have to offer. The Optimum can be used with or without the finger strap. 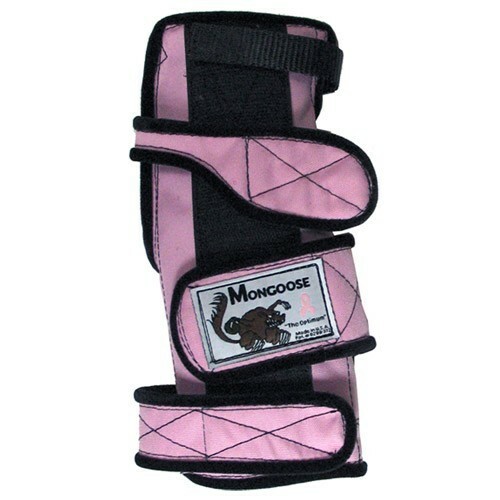 Mongoose Products is donating $1.00 for every Pink Mongoose sold to help support breast cancer awareness. Due to the time it takes to produce the Mongoose Optimum Pink Left Hand ball it will ship in immediately. We cannot ship this ball outside the United States.